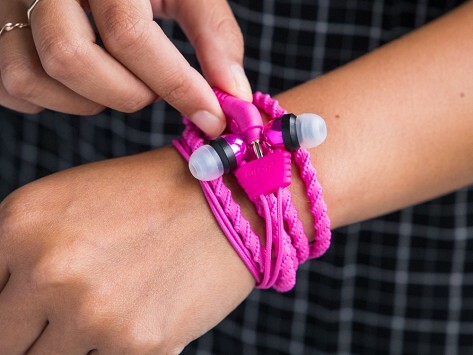 When you’re done listening, wrap these wristband headphones around your arm—and they won’t look the least bit out of place. The braided fabric comes in different colors and won’t tangle on you. 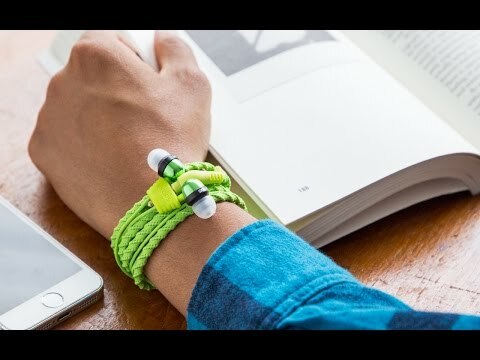 Accessorize and then conveniently keep your earbuds close in single motion. easy to use. it actually works as shown on the video and most importantly a tech gadget that's pretty. Since my granddaughter is always losing her buds, this was a great solution. My teen kept getting her earphones tangled and then the wire covering would break at some point. I found these and thought I'd give it a try. She loves them. They have to have their devices in school all day with earphones to use in some classes. This keeps hers untangled until time to use them. I was so impressed I bought another pair for my older nephew and now my younger niece wants them as well.